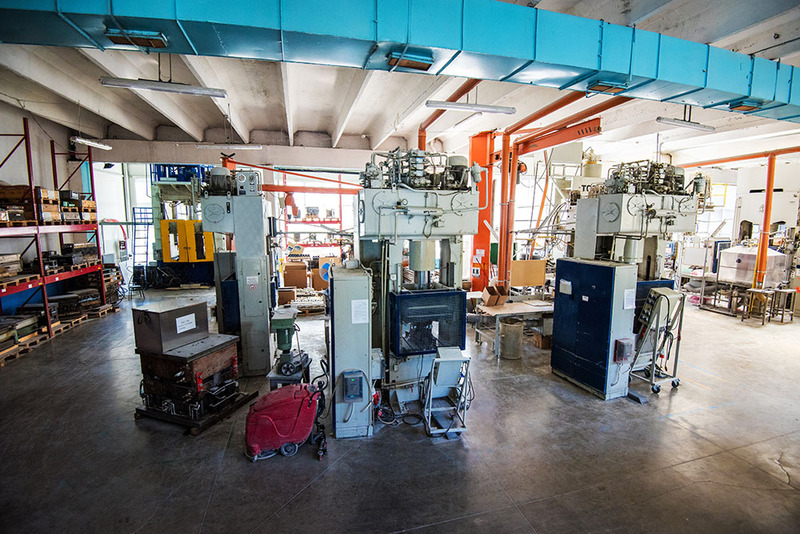 Hydraulic presses with clamping force of 40 t to 600 t.
DESMA injection moulding machine for rubber with clamping force of 800 kN. 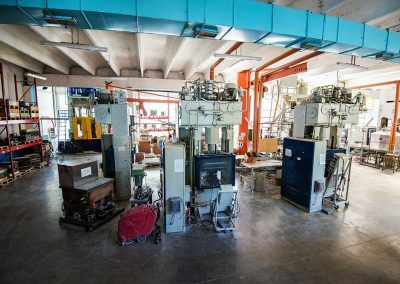 Krauss Maffei injection moulding machine for thermoset plastics with clamping force of 200 t.
In the Compression Moulding Workshop, we manufacture parts from thermoset materials – phenolic resins, BMC, SMC and rubber, which have application in the machine-building and the electrical industries. 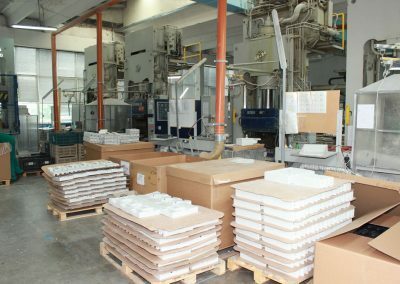 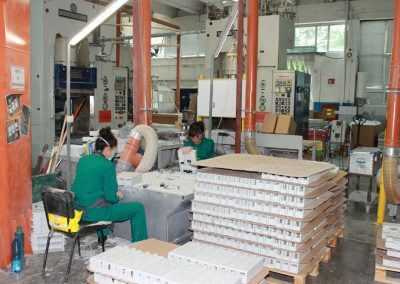 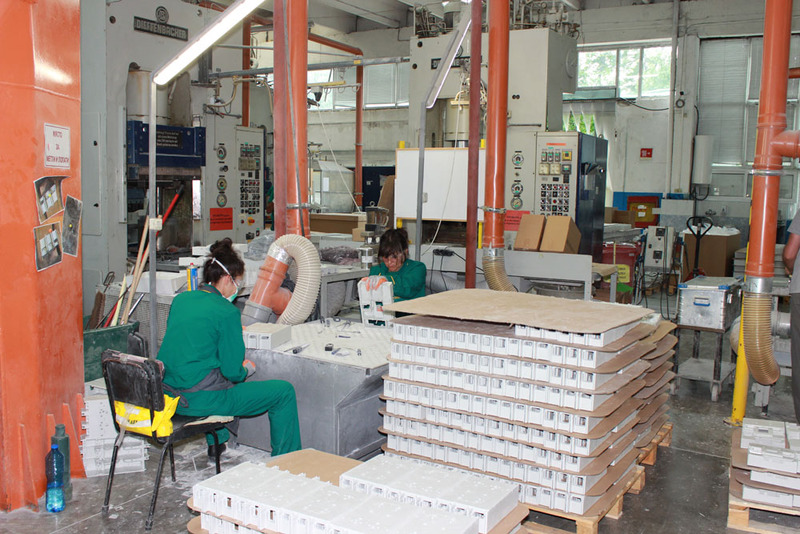 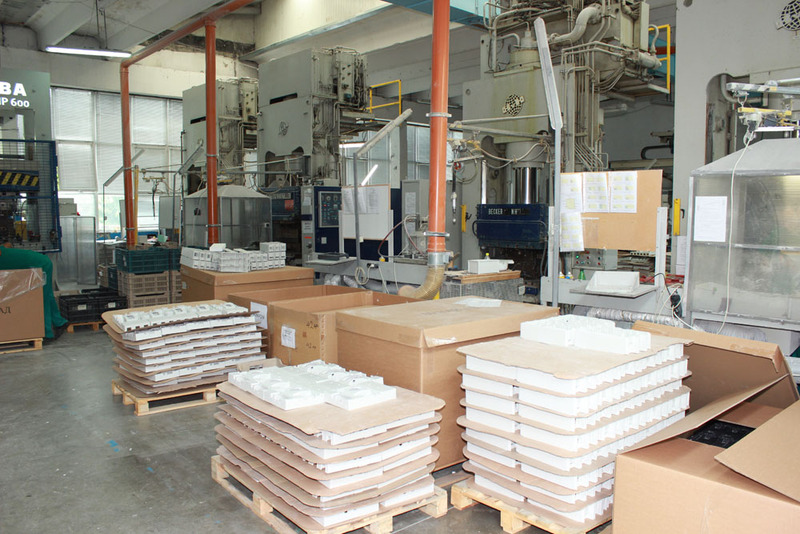 Over 90% of our thermoset plastic production is exported in the EU.